The past 18 months I have had a couple of opportunities to work with CARE.org, an amazing organization that helps with important worldwide issues including fighting poverty and empowering women and girls. I accepted this "campaign" about South Sudan, and I am honored to do that- to campaign for these children and this country to receive the help they need. I know that our lives are filled to the brim with lots of good things- with work and kids and family and holidays. But I think it's really important that we try to be aware of the suffering of others- no matter how far removed from us it may seem. There are easy ways to help and to give for those who are able. South Sudan turns 5 in just a few days- on July 9. It is the world's youngest country and was founded in a moment of hope for the future. In 2013 armed conflict broke out, and the hope was quickly dashed. 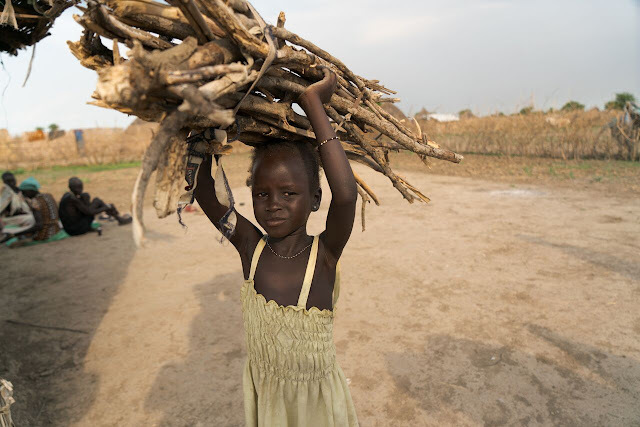 A 5-year-old today in South Sudan was born into a peaceful county, but likely has memory of only war. 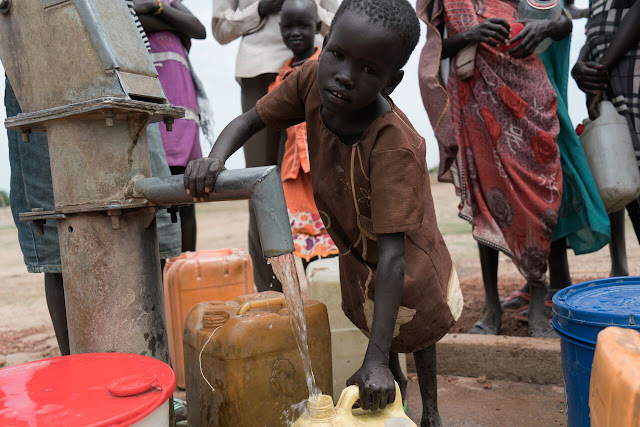 Since the war breakout three years ago, 2.3 million South Sudanese have had to flee their homes. 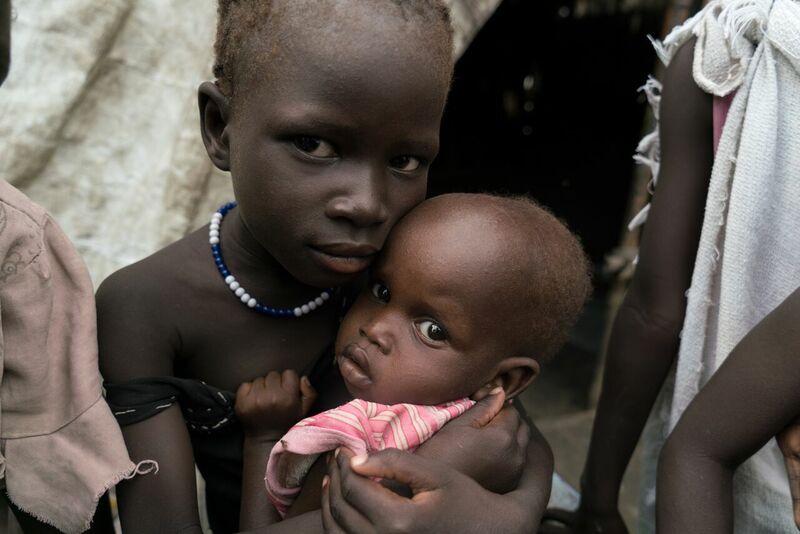 Today 5.1 million people in South Sudan (nearly half the country) are in desperate need of humanitarian assistance. Above are pictures of beautiful South Sudanese 5-year-old girls. One girl plays a game where she "pretends" to have toys. (I read a staggering statistic the other day that the U.S. has 3% of the world's children, but buys 40% of the world's toys.) Another lived in a forest to escape fighting. These girls live in huts and camps with little food, no water, and not much to hope for. I KNOW THAT READING ABOUT THIS KIND OF STUFF IS HARD. I know it's easier to shut off the computer than to read about the plight of these children. But ignoring it doesn't make the situation go away. CARE is an amazing organization that is doing so much to help these people and I really really encourage you to get familiar with their website and find easy ways that you can help too. I promise you will be motivated and inspired after seeing their website. This is a real company that is doing lots of real good out there. For a brief overview of the situation in South Sudan, this video explains it so well. I'm grateful for the opportunities I have through blogging to work with companies and brands. I'm always excited when I can get you pumped about diapers or lipstick, but my campaigns for CARE are the ones that I am most proud of and that I feel like are really making a difference in this world. Thanks so much for supporting me and supporting this amazing humanitarian effort.